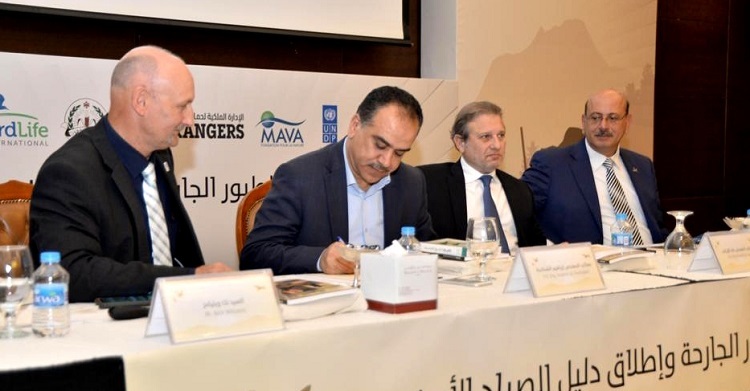 Jordan has today signed the Convention on Migratory Species (CMS) Memorandum of Understanding on the Conservation of Migratory Birds of Prey in Africa and Eurasia (Raptors MOU), at a National Raptor Conservation event held in Amman, Jordan. Nick P. Williams, Head of the Coordinating Unit, gave a presentation to introduce the Raptors MOU at the event. In welcoming Jordan as the 60thSignatory State to the Raptors MOU, he explained that "Jordan occupies a strategically critical position at the head of the Red Sea – Rift Valley Flyway, which serves as the preferred route for over a million migratory birds of prey in both Spring and Autumn every year. This means that conservation actions undertaken in Jordan can offer profound benefits to almost half of the 93 species listed on the Raptors MOU".